Evans & Associates Construction Co., Inc. was founded in 1960 by Lloyd I. “Jerry” Evans. 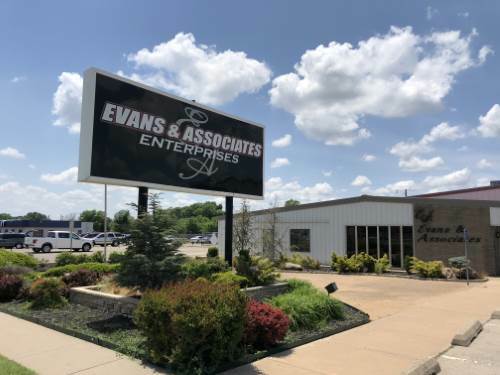 Beginning as a small asphalt company located in Ponca City, Oklahoma, today under the banner of the parent company Evans & Associates Enterprises, Inc., the company employs 300 associates statewide. While the company continues to provide hot mix asphalt and construction services to its customers in North Central Oklahoma, the Company also manufactures ready mixed concrete, quarry sand and aggregates, installs underground utilities, and markets Type “C” fly ash. With operations located in Ponca City, Red Rock, Alva, Enid, Perry, Bartlesville, Miami, Grove, Skiatook, Altus, Lawton, Ft. Sill, Snyder and Oklahoma City, Evans & Associates continues the proud tradition of its founder with a reputation for quality and integrity.